The goal of any service provider is to produce results. But the goal of “top performers” is to consistently deliver “stunning results.” And this is what Trina is recognized for. She brings a sophisticated, skillful, yet warm approach to her profession and has an unwavering passion for consistently providing unexcelled concierge service. Representing Palm Beach homeowners and future homeowners, as well as luxury real estate clients whose preferences are on and off the water and in upscale communities throughout Palm Beach County, Trina’s creative, enthusiastic, and caring nature is perfect for matching each client’s desires as well as skillfully featuring a home’s unique presence and character. Trina has been in real estate since 2000, and has called Palm Beach her home for over 25 years. She has fully embraced the luxurious Palm Beach lifestyle and all the island has to offer. 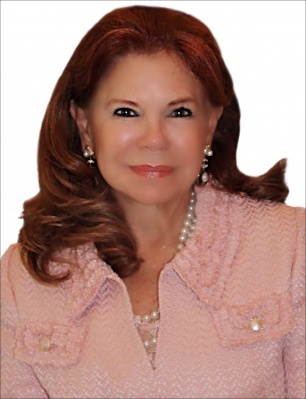 She is actively involved in the community, allowing her to get the “inside scoop” of the Palm Beach real estate market providing exclusive insight and market intelligence to best meet her clients' needs. Trina’s extensive knowledge of the Palm Beach market, her worldly background (She has lived in Manhattan and New Vernon, New Jersey and has spent extensive periods of time in Europe and the Far East), and her financial expertise assures clients they receive her undivided attention to address every detail. And in combination with Waterfront Properties & Club Communities’ vast resources, including industry-leading and award-winning Internet technology with global capabilities, Trina provides a level of customized service that is virtually unrivaled in her market. Trina’s contacts and 25-year Palm Beach residency leverage her energy and enthusiasm, enhancing her client dedication and insuring satisfied repeat clients and referrals. When not working hard on behalf of her clients, Trina enjoys tennis, golf, swimming, horseback riding, fly fishing, downhill skiing… and the Palm Beach lifestyle.